Dedicated for BLUE and GREEN beams which have better divergence than RED ones. Lenses have 2 X magnification and the divergence of the beam is also corrected 2 X times. Available quantity: 14 Item Items Last items in stock! 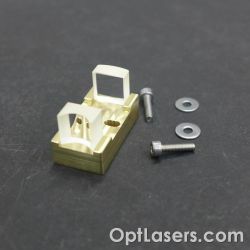 The optical system for reducing the divergence of the laser beam at large distances. 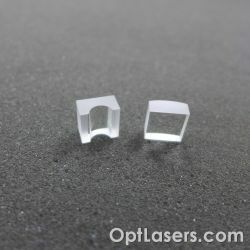 An anti-reflective coating is applied to both surfaces of lens providing extraordinary light transmittance of >99,7 % for the whole 400 nm - 700 nm spectrum. 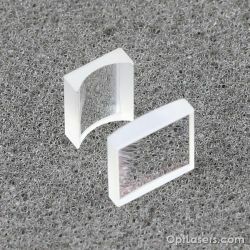 The lenses have been designed in terms of shape to ensure the best cooperation with the diodes listed below. 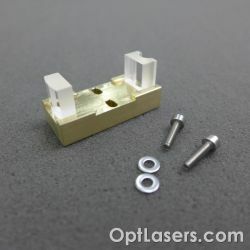 They can be also used with other laser diodes. 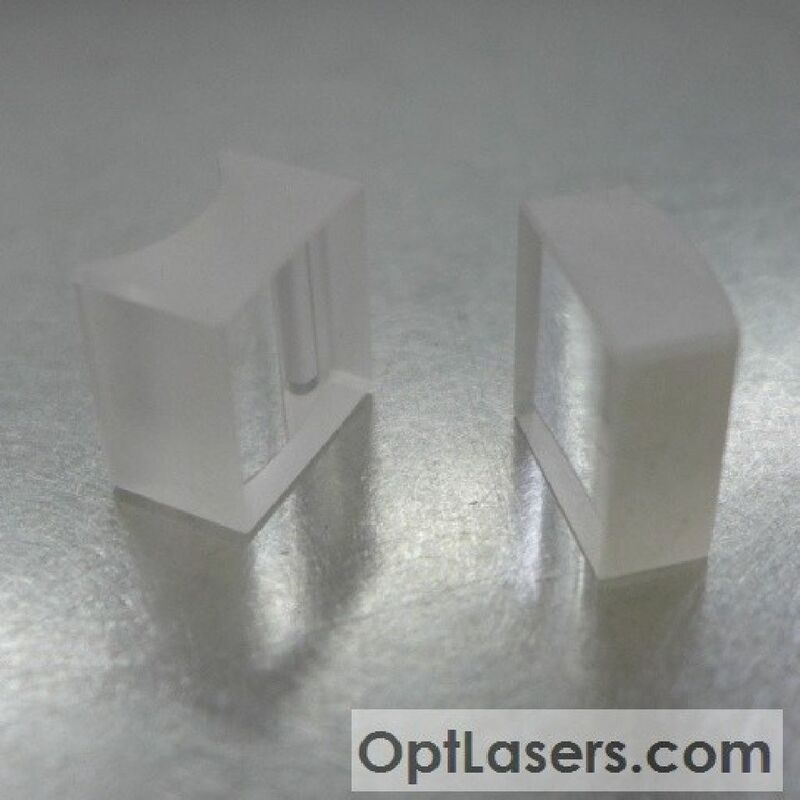 If you have any questions regarding the proper selection of lenses to be used with your laser diode, please feel free to contact us. 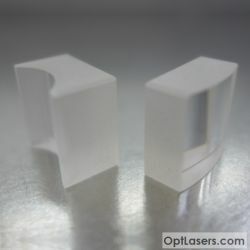 A test of the optical system with Nichia 520 nm 1000 mW (NDG7475) laser diode is shown below. 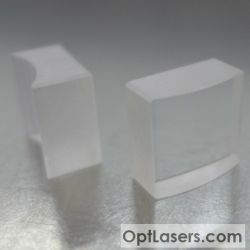 Using this pair of lenses it is possible to reduce the width of the laser beam about 2,5 times. 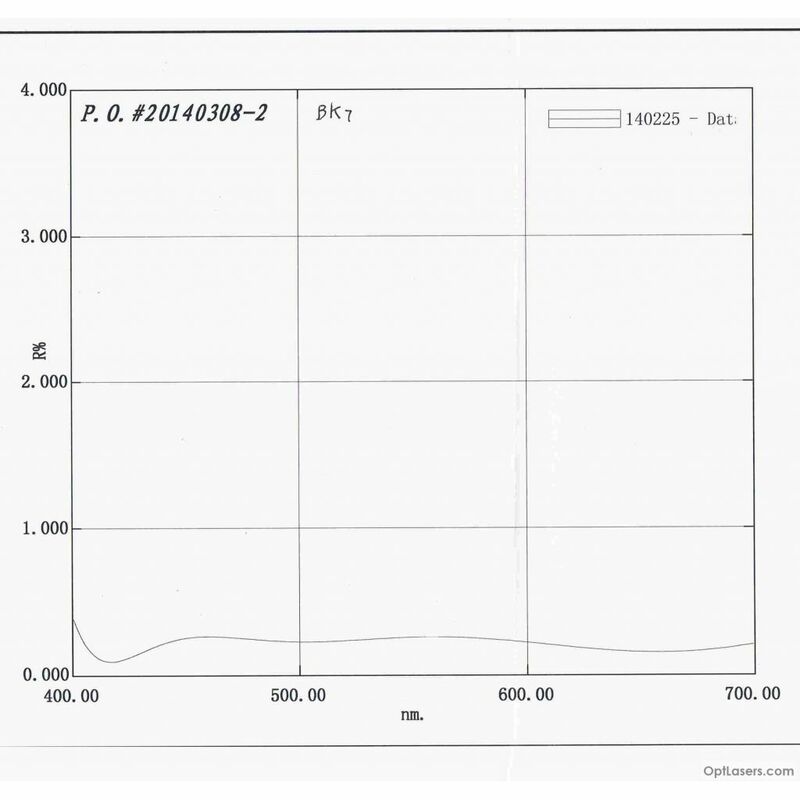 Dimensions of the output beam spot at 10 cm distance without and with cylindrical lenses. 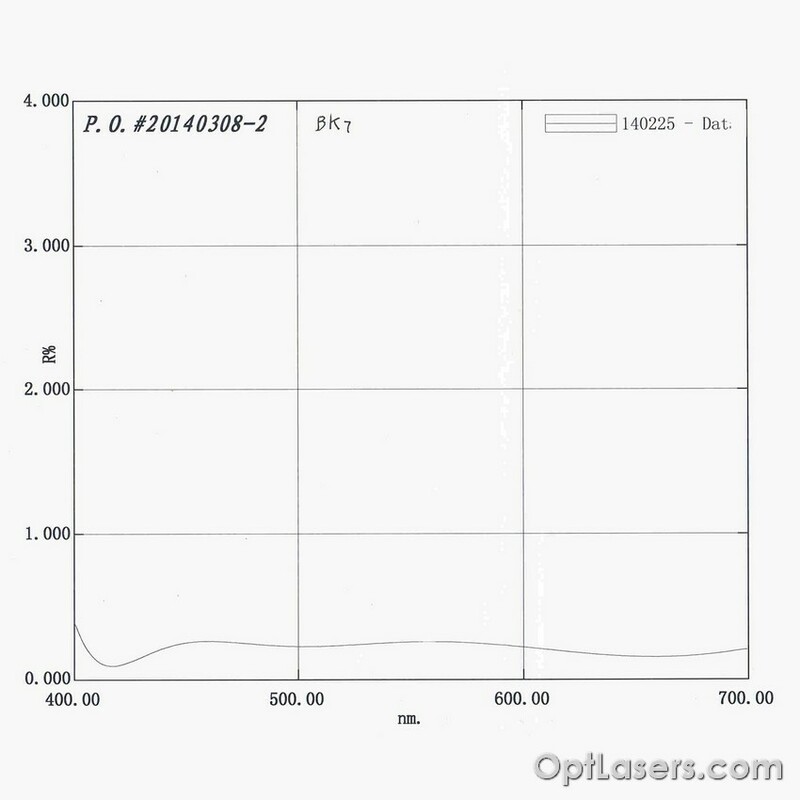 Dimensions of the laser beam spot without and with lenses at the 10-meter distance.